You choose. Those are two words I love to hear before a date. If you have the privilege of planning your Valentine’s Day itinerary, look no further than Historic Downtown Sanford. While its restaurants and bars are a treat on any night, we’ve got you covered on what’s happening on February 14th. Not a fan of walking? Hit up the Ride Lime. Apart from giving scenic tours of Historic Downtown Sanford, this free taxi service—in a neon-green golf cart—carries you east to west. Just call 407-500-LIME (5463) … or flag him down as he drives by, shouting, “Ride Lime!” That works too. On Wednesday We Wear Pink: a kettle-soured blonde ale conditioned with hibiscus and citrus zest. Any Way the Wind Blows: a bohemian pilsner that balances German malts and Hallertau Blanc hops. I Ain’t Afraid of No Roast: a robust, malty porter. Hailstorm: a smoky milk stout with a creamy backbone. And the chocolates? Well, you’ll just have to see for yourself. 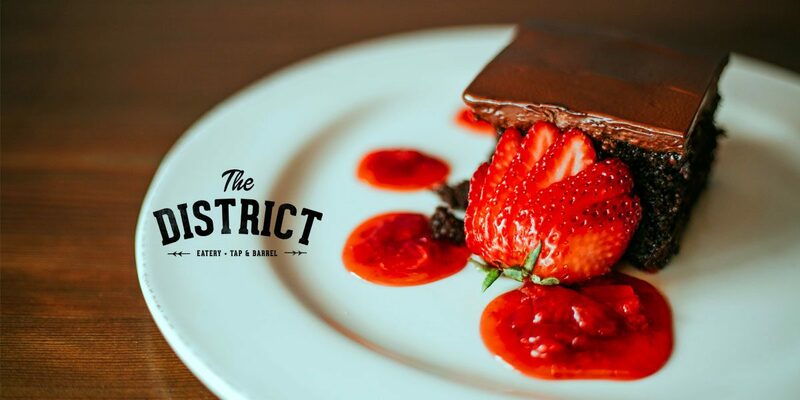 Gastropub meets barnyard chic at one of downtown Sanford’s best foodie haunts. Tuck into an entrée so fresh it changes every couple of weeks. The doors to the restroom are swinging saloon doors and water is served in tall glass milk jugs. Most importantly, their food is a gourmet delight. Enough talking. Let’s get entertained. Theater West End brings you acclaimed shows, sometimes old classics, sometimes something new and experimental. For February, enjoy a love story as old as Shakespeare—no, not Romeo and Juliet. Feel pretty and witty and bright with a performance of West Side Story, showing at 8:00 p.m. The show runs from February 8th to the 24th but, hey, what better time to sing one hand, one heart than on V-day? Tickets available at theaterwestend.com. It’s not Valentine’s Day without a chocolate fondue bar. End the night at Luisa’s Cellar where the V-day spirit will be in full swing complete with candles, roses, red linen, live acoustic music, and a hidden speakeasy. Just ask the bartender for the password. Not into a full itinerary? Stroll along the Sanford Riverwalk. Sample homemade marshmallows at Wondermade. Rock out to Mardi Gras madness at Alive After 5. Whatever you do, don’t stay indoors. Historic Downtown Sanford is calling your name. Rachel slings lattes at Palate Coffee Brewery, pens the arts column for the Sanford Herald, and eats a lot of Pocky. When in Sanford, she likes to sing that line from "It's Time" by Imagine Dragons that goes, "I don't ever want to leave this town!"